Chemical filtration refers to many of the adsorbent filter medias that remove dissolved particulates from aquarium water. Filter media such as carbon, GFO and Chemi-Pure are all considered chemical filtration methods. Biological filtration refers to the bacteria and biological processes that naturally take place in your aquarium that break down waste. 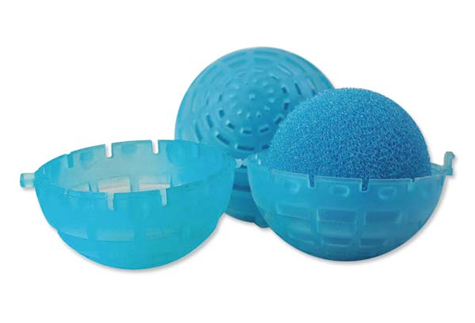 Bio-balls, wet-dry filters and an assortment of other media are great ways to help boost the biological filtration processes in your aquarium. Mechanical filtration is the most common and effective type of aquarium filtration. This refers to the sponges, filter pads and filter socks that physically remove solids from the water that passes through them without altering water chemistry. Today we are going to discuss the different types of mechanical filtration, show you some great tips for getting the most out of your filters and help you decide which mechanical filtration methods will work for your system. The main purpose of mechanical filtration is to remove solid particulates. This includes organic sludge, fish waste, leftover fish food and various other particles suspended in your aquarium water that have not been dissolved. 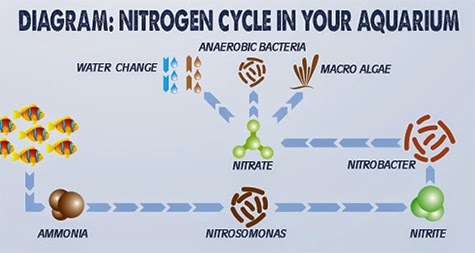 By removing these particulates via mechanical filtration, you will keep your water crystal clear and also improve water quality by getting rid of waste before it is broken down via the nitrogen cycle. Filter pads are probably the easiest option for mechanical filtration. They can be cut-to-size to use in canister filters, wet/dry systems and sumps. 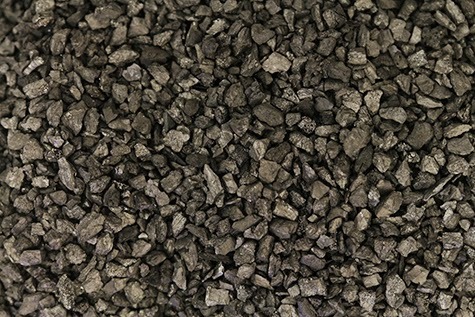 Filter pads are available with a variety of different porosity levels. Fine-grade pads, such as AquaMaxx Micron Filter Pads, will filter out even the smallest particles of debris down to 50 microns. They are great for polishing your water and keeping it crystal clear. Coarser grade filter pads, such as AquaticLife Bonded Filter Pads, are designed to filter out larger particles of debris. 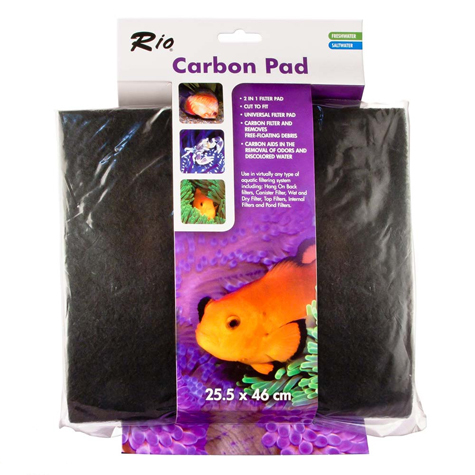 They are great for heavily stocked aquariums with large fish or as a pre-filter before a micron filter pad. There are also filter pads that are coated with chemical media, such as Rio Filter Pads and Polyfilters. These types of filter pads are great because they can provide both mechanical and chemical filtration at the same time. Filter socks are great for reef aquariums. They are what most of the Marine Depot staff use because they are easy to maintenance, very effective and easily adapt to most any sump. 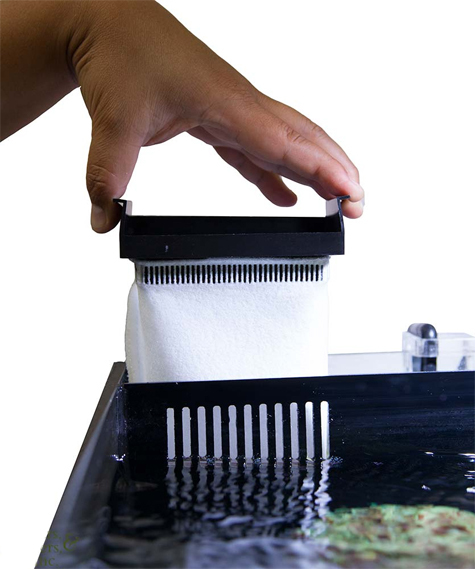 Filter socks do an amazing job of polishing your water because 100% of the water from your aquarium drains though the sock before entering your sump. 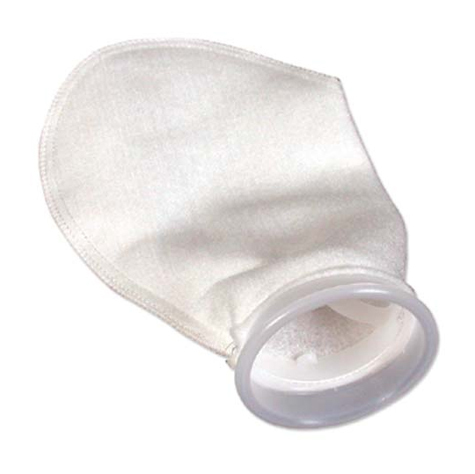 The micron rating refers to the pore size of the filter socks. This is important to understand because 200 micron socks have bigger pores which may allow more particulates to pass through, but will not clog as quickly. The 100 micron socks have much smaller pores and will trap just about everything. The only downside is they will clog much quicker and require more frequent maintenance. 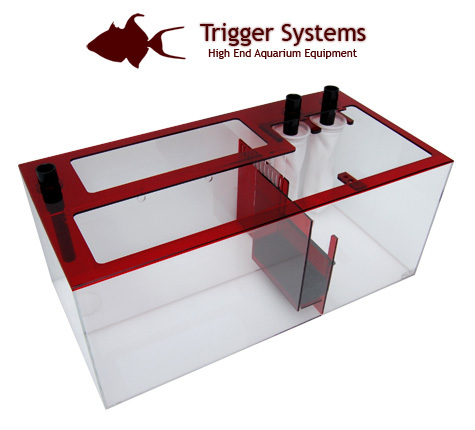 Most sump systems (such as Trigger Systems and Berlin Sumps) have brackets built-in to hold filter socks. If you are custom building your own sump at home, we have several pre-fabricated filter sock holders available on our website. With all of the recent advancements in all-in-one style tanks, manufacturers are catching on to the effectiveness of filter socks. Innovative Marine, for example, has just come out with a nifty filter sock add-on that has an integrated bracket that adapts perfectly to their Nuvo and Fusion aquariums lines. Filter socks can be cleaned and reused quite a few times. You can clean them with a garden hose or even throw them in your washing machine with a small amount of bleach and no detergent. Just be sure to run them through a second rinse cycle without any bleach to ensure they are thoroughly rinsed and let them air dry completely before using in your aquarium again. An alternative to the felt-type filter socks are nylon filter socks. Instead of a thick felt material, a thin nylon mesh is used to filter out particulates. The benefit with nylon filter socks is they are much easier to clean and will last 2-3 times longer than a felt filter sock. The downside is they will allow for much more particulate to pass through. 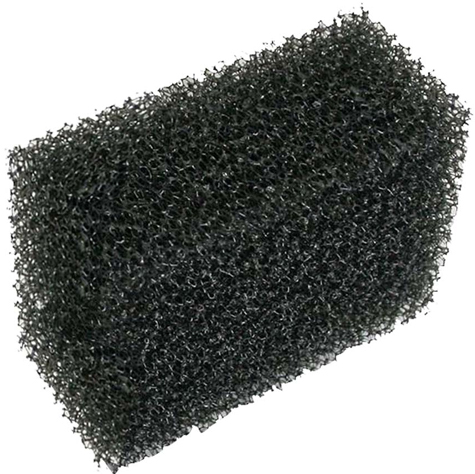 Plastic filter sponges are probably one of the most overlooked types of mechanical filters. While they will not polish your water like a filter sock or fine micron filter pad, they are very easy to place in your sump or filter and can be rinsed and reused for a long time which makes them a very economical option. When used in a sump, you can squeeze the sponge in between baffles to trap bubbles and prevent snails or other small creatures from getting into your pumps. With all of the mechanical filtration options available, it is easy to find a performance and maintenance combination that works best for your filtration set-up. If you don’t mind cleaning or changing the filter frequently, filter socks will give you the best performance. 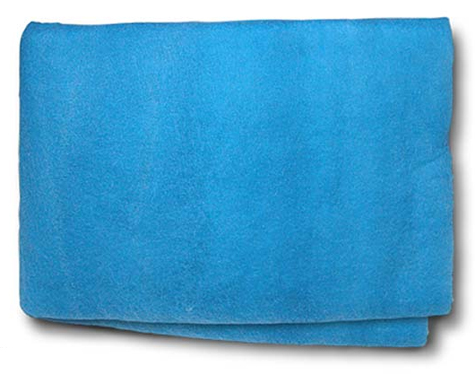 If you are looking for something that requires less maintenance, coarse filter pads or sponges will work out great. If you found this blog post and the accompanying video helpful, please like and share them to help other hobbyists. Don’t forget to subscribe to our YouTube channel to see more informational content just like this! Thank you for giving us the opportunity to share our knowledge with you. Until next time, take care and happy reefkeeping.